Successful performance at this level indicates that a candidate has the personal skill level to paddle single or multi-day journeys in a moderate water environment with winds not exceeding Beaufort Force 5. The Level 2 course has the skills and judgement to select appropriate environments for paddlers with a range of experience. Suited to paddlers who have begun to learn (but not necessarily mastered) bracing, rescue techniques, paddling in adverse conditions and are ready to push themselves a bit further. Boat readiness, paddling in wind, waves, and confused seas, and rock gardens as well as launching and coming ashore in moderate surf & rough water safety and rescues will be emphasized in this course. 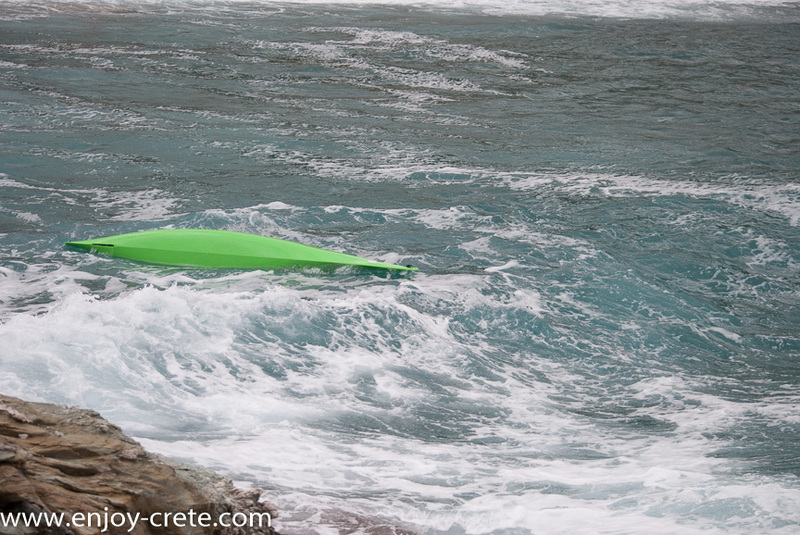 In the meantime, we will enjoy the spectacular and varied shoreline of Crete. Class size will be limited to 4 in order to maximize personal instruction and safety. Cost: 300€ per person. 50€ discount if you have your own boat and gear. Duration: The course take place 3 days, starting around 10 am and finish about 4 pm. Location: Depending the weather, usually starting from Ligaria bay heading towards Mades or Fodele until we find decent waves. Sea state 4 is very common in the area so the chances of not finding proper rough conditions are very little. If that is the case will try to choose a different location. We will send you by email the exact meeting spot and time a few days before the course.